This topic contains 1 reply, has 1 voice, and was last updated by Mark Stücklin 2 years, 11 months ago. 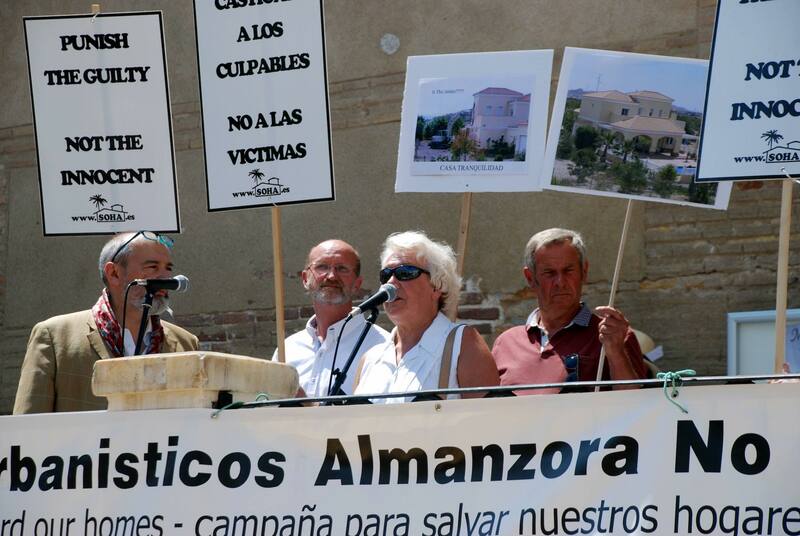 The British home owners association AUAN has informed the Spanish authorities of its intention to organise a peaceful demonstration in the Plaza Mayor outside of the Town Hall of Vera on 19th May at 12.00 noon in support of Helen and Len Prior. 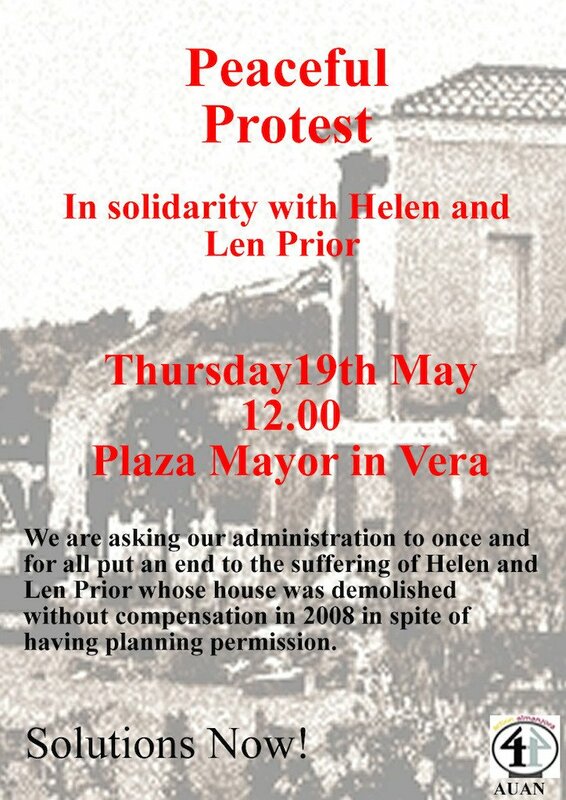 According to AUAN’s president, Maura Hillen ‘the reason for this gathering is to ask our authorities to once and for all find a way to put an end to the ordeal of Helen and Len Prior whose house was demolished without compensation in 2008 in spite of having planning permission’. 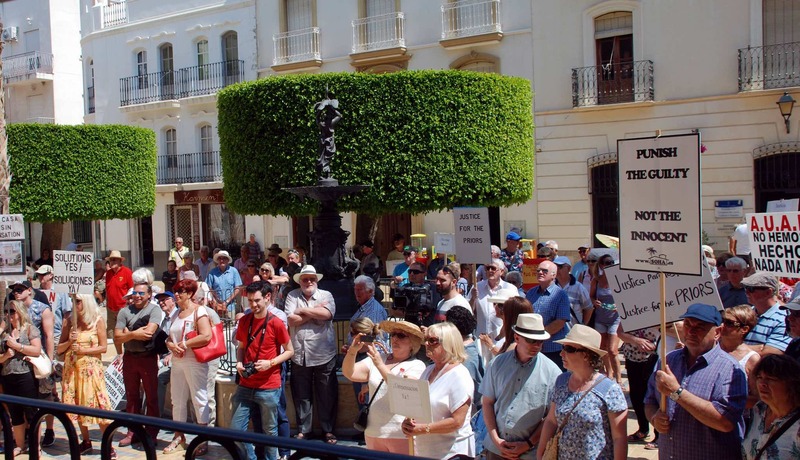 Here are some pictures of the protest, which attracted around 150 – 200 people in 30 degree heat.